:: NikG* Life + Style ::: Meatless Monday!! Hey guys, it's another Meatless Monday! I don't post weekly about Meatless Monday, but we've definitely been sticking to it! 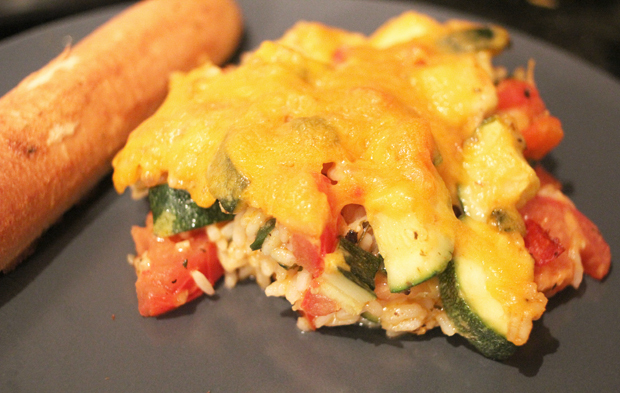 So I thought I'd share with you all one of the favorites of all the meatless meals we've tried thus far. This turned out GREAT, and would also make a great side with a meat as well. Trust me though, you won't miss the meat if you make this a meal. I served it up alongside garlic bread. I could easily see adding cooked chopped chicken or shrimp to this if you're not a vegetarian. That is something I may actually do in the future. 1. Combine the rice and water in a saucepan, and bring to a boil. Reduce heat to low, cover, and simmer 20 minutes, until rice is tender. 2. Preheat oven to 350 degrees F (175 degrees C). Lightly grease a shallow 1 1/2 quart casserole dish. 3. 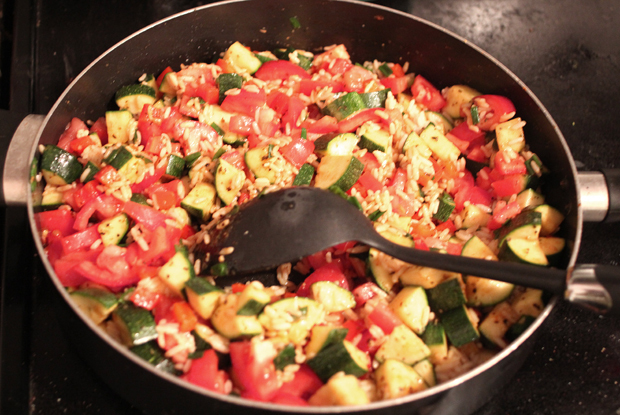 Heat the oil in a skillet over medium heat, and cook the zucchini, green onions, and garlic 5 minutes, or until tender. Season with garlic salt, basil, paprika, and oregano. 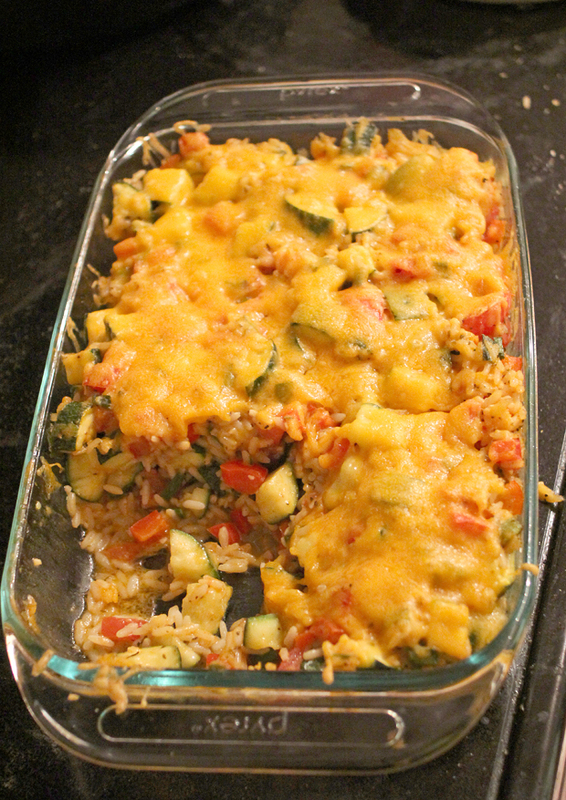 Mix in the cooked rice, tomatoes, and 1 cup cheese. Continue to cook and stir until heated through. Transfer to the prepared casserole dish. Top with remaining cheese. 4. Bake uncovered 20 minutes, or until cheese is melted and bubbly. I DOUBLED the seasonings (except the salt). There were quite a few reviews that said the recipe was bland, so I copied a few other reviewers who said they doubled (some even tripled) the seasonings and had great results. I used Monterrey jack cheese. No real reason. I'm sure cheddar would be fine. I added a bit of red pepper flakes. Hey, we like a little "kick" in our food over here. I think I added red bell pepper. I honestly can't remember, but there was a particular review that I copied most of my mods from, and she did--so I may have. Hope you all enjoy! Again, this is one of our favorites!